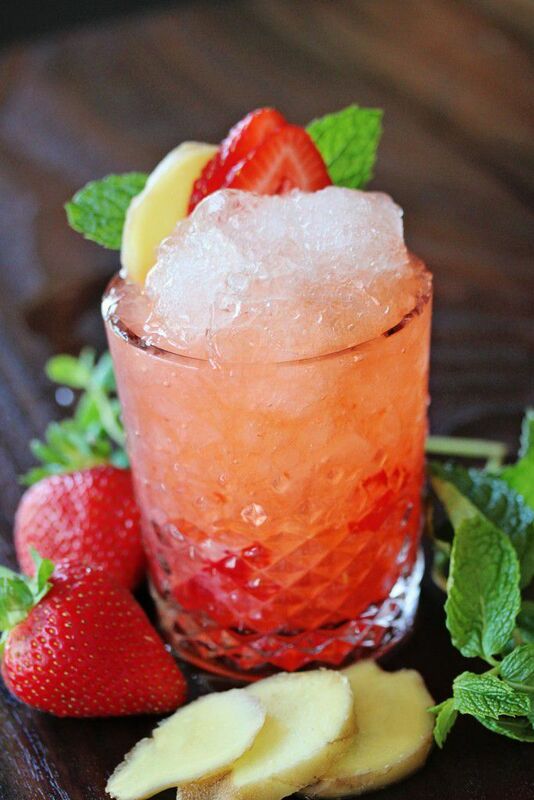 We call this the “Fresa Smash” at Centro Cocina Mexicana in Sacramento, CA. Now, you can be your own mixologist and enjoy this gem at home! Pour tequila and ginger syrup into cocktail glass. Add crushed ice and swizzle. Increase simple syrup to ¾ oz. Top with chilled soda water over ice into a highball glass.